This is a very cool topic. 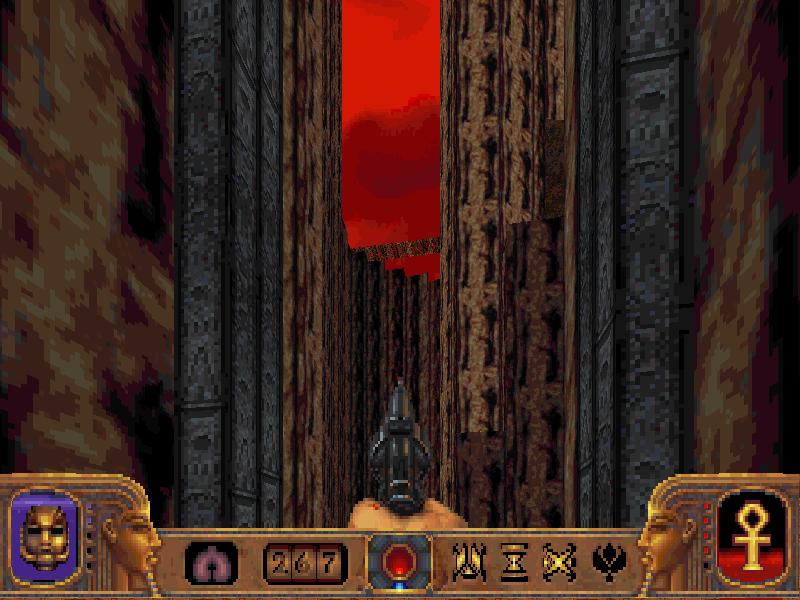 Do you have any info on level editing possibilities in Powerslave EX? What are these Saturn levels which are totally absent from PS1 version? I don't remember which levels, but 2 entire maps have the same name but are completely different. Then, you have about half of 2 other levels which are also different + tons of other changes in other maps. It works perfectly emulated using yabause 0.9.15. Trust me, I did a speedrun of the game on real hardware, so I'd have noticed if anything was wrong emulated. The only difference is that the background image during loading screens doesn't appear, big deal. Probably works using other Saturn emus too. I'm trying the latest version of the Dehacker. It's pretty good, running the game in higher resolution... even just running it in 800*600 makes a substantial difference. However it feels like there is something wrong with the way strafing "always on" is handled. You see, Anubis warriors' fireballs are made so that they'll fire in the direction they think you're going if you're strafing; but when using the dehacker they just seem to fire in very random directions. I've seen several of them literaly turn around to fire 120° behind them when I'm right in front of them. 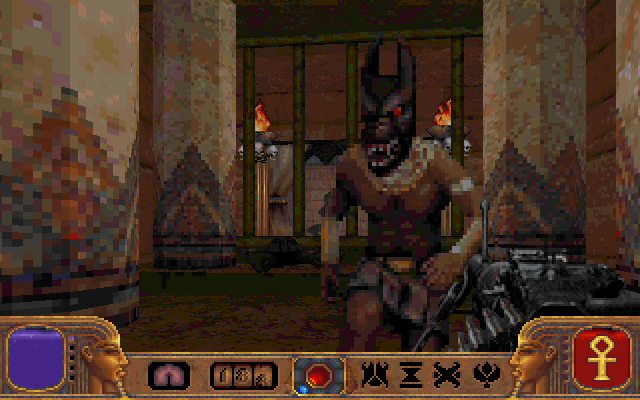 Has anyone else had a problem with the mouse in Powerslave EX? When I try to look around the mouse only moves a few degrees in any direction and then defaults back to the center of the screen. So currently I'm being forced to play it with an Xbox controller (and yes I tried unplugging it, the mouse problem remained). Same here. Seems like a Win10 Fall Update issue. I had it in a couple of other games. No idea how to fix that. So the screenshots in Score are definitely from an earlier version. 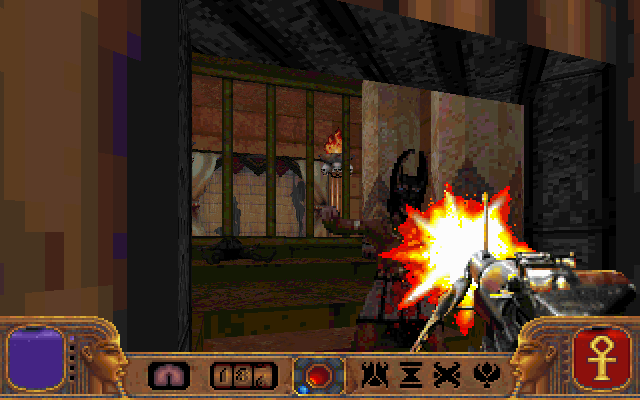 Perhaps the girls in question were changed due to some form censorship, as at least one of them (on the right) is definitely NSFW, and actually I'm not sure if these particular sprites are used anywhere in the game (but they still are present in the data files of at least some versions, including the August 1996 demo from the PC Gamer CD (demo details and dates can be checked here). Links for the mp3 in the description. I asked for 4 remix, the other themes were too much "atmospheric" I think. 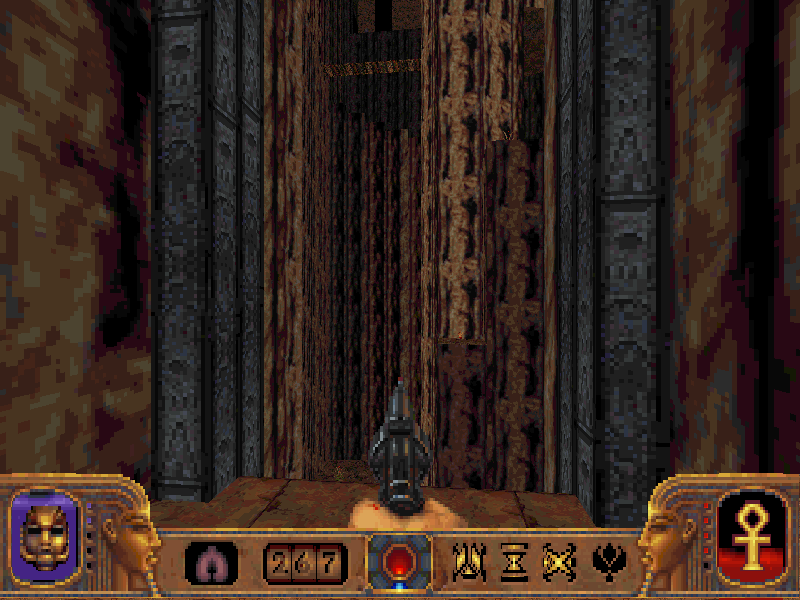 At first I assumed that the scene was from somewhere later in the game (I hardly played past the fourth level), but upon closer inspection it seems to be the semi-secret area in MAP03, but it is actually quite different. 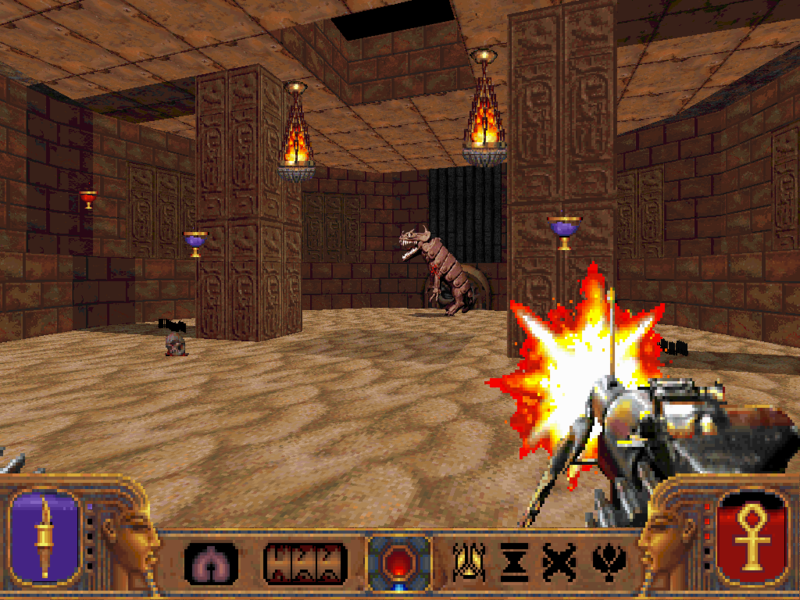 In the final game, there are two dancers and two drummers, along with some powerups and a save scarab. I just checked the PC Gamer demo and the secret area is the same as in the December 1996 one, even though LEV3.MAP is the only level file that is different from the December demo, as noted here (I guess they changed something else). I'm curious about this new port as well. 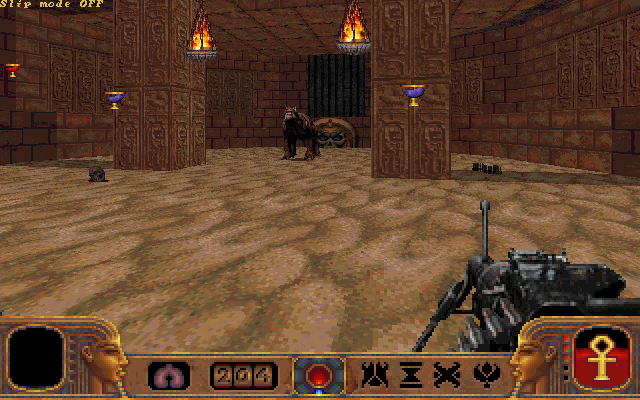 Powerslave is easily the 4th best Build game.